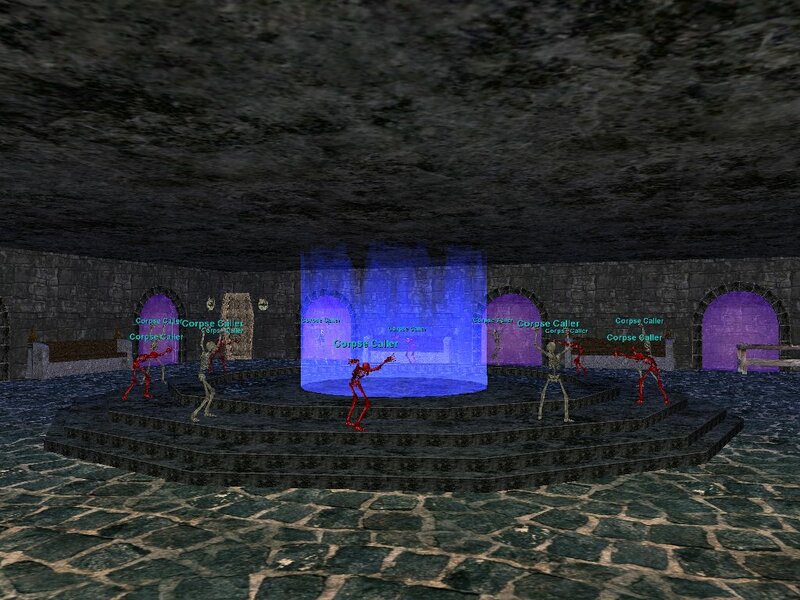 Shadowrest used to be a place which allowed players to retrieve decayed corpses. Speak with Devin Traical in the Plane of Knowledge for a port up. 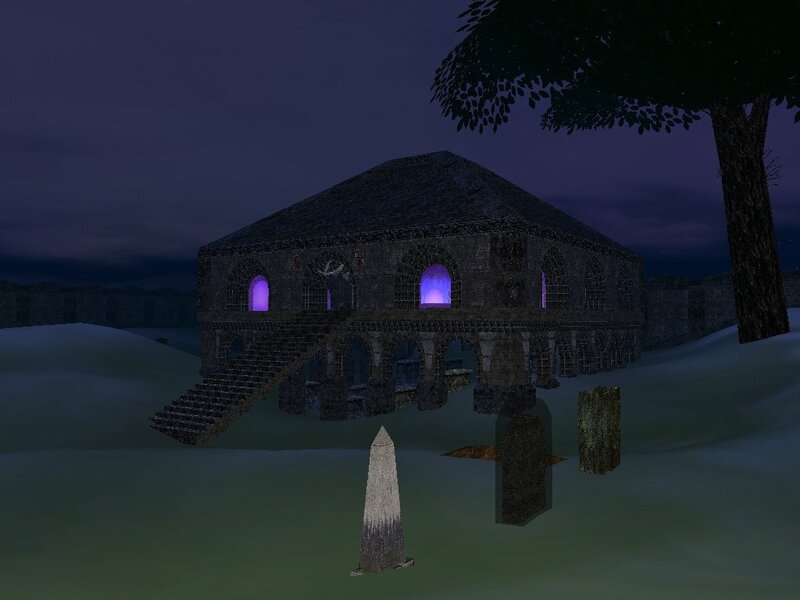 "The Emissaries of Shadowrest are retiring now that Shadowrest is no longer a repository for forgotten bodies, with one exception: the Emissary in Plane of Knowledge is still available should adventurers wish to visit Shadowrest and reminisce about the olden days." Many other emissaries were previously available in East Commonlands, Toxxulia Forest, Qeynos Hills, The Feerrott, Butcherblock Mountains, The Field of Bone, Shadeweaver's Thicket and Misty Thicket. If you have multiple expired corpses, you will need to make multiple visits to the zone. This zone is now part of achievements. 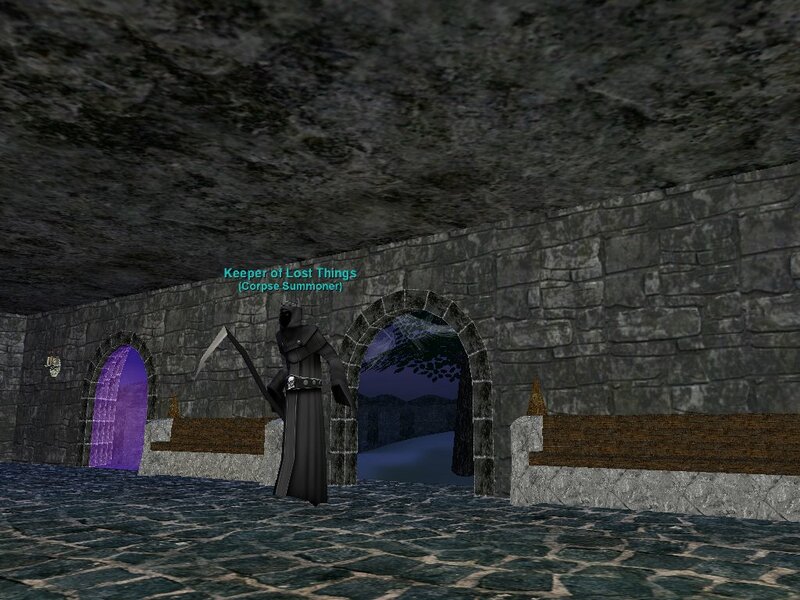 Everquest - Special Events Explorer - Shadowrest Traveler. The NPC Devn Traical in POK will port you there . There is a POK book near the wall in the zone to port back out. Many of our EQ players have "gone to the other side" and it might be nice to have a place where we could go to remember them. I think Shadowrest is the best place for it. See this official board post from Roshen about upcoming changes to Shadowrest in February of 2016. Short version: get you stuff off your old corpses before they wipe it all (or whatever they are actually up to). I just recovered an old account a few days ago that had corpses in Shadowrest before it closed and all their gear was sent to the Parcel merchant and a pop up appeared when I logged in reminding me to retrieve my items. NOTE: If you have more gear being held by the parcel merchant than is allowed then you MUST retrieve at least the items that put you over the limit. IIRC the limit is 50 items and one of my toons had 78 items when they went to Shadowrest so I had to retrieve at least 28 items or they would be destroyed when I logged off. "Go to you your home..You're not too good for your home." omg just do your CRs or buy a coffin and summon the corpse and you wont have any issues. EQ is not suppose to be an EZmode game, and was at its best before it started catering to.. um.. less experienced players. if EZMode is what u want, go play WoW. that being said, your corpse stays where u died until the corpse rots, IF it does rot, you have the opp to retrieve it from SR at that time. but if your corpse rots from SR, well, you deserve to lose your corpse. I assume that the recent update regarding nothing being left on your toon has effectively killed corpse banks (a side effect you can easily blaim on SoE catering to the WoW crowd). Has anyone tried this in shrouded form? I know I have a few shrouded corpses in shadowrest, but haven't tried leaving another to see if it would work. Yep. 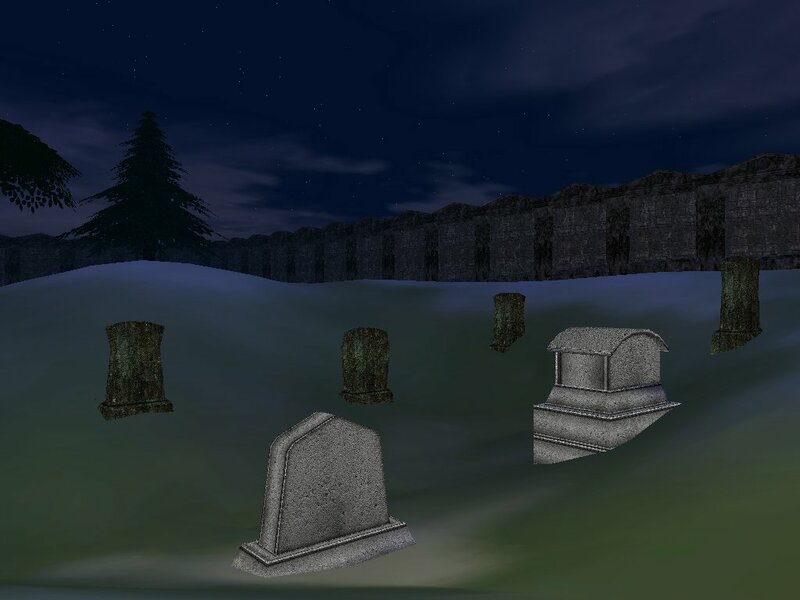 No more leaving items with the temporary (formerly no rent) tag on your corpse so that you can use it forever in violation of the devs intentions. This is probably the most widely used exploit ever. They can't even ban anyone for using it because if they banned everyone who used it, there wouldn't be anyone left playing the game. I had many keys and things of that nature in the bank which were taking up room, so I put the things I didn't use, but didn't want to destroy on the corpses in the main inventory slots. I had four corpses full of things like Hand of Glory, Ring of the Shissar, favorite outdated weapons, etc. After cluttering up the Guild Lobby for a week, the corpses expired, and went to Shadowrest per the yellow emote when logging in on my ranger. Questions: 1) how long before these corpses will rot, if ever? 2) If I want to retreive one of these items, and summmon the corpses to Shadowrest, but don't loot all the stuff, will the corpse/stuff on the corpse rot? 3) If I summon these corpses in Shadowrest, will all of those corpses be showing up as a big pile in the GL for a week before they go back to Shadowrest again, or will they remain in Shadowrest? 4) I was advised to loot the stuff from the Shadowrest corpses if I ever switch servers, as the Shadowrest corpses won't go with me. Is this correct? 5) Does anyone have a link to some SONY web site which explains all of this? How long do you have to wait for your body to be able to show up in Shadowrest? All of those necromancers are in for it. Man, they better watch out. Wait! Hey! I'm not a necro! Don't kill me!!!!!! Do you have to decay/rot before Shadowrest works? Do you have to wait for corpse to rot? I went right after dying (corpse run impossible) and the Keeper tells me not to waist his time. How long do i have to wait to get my gear back and play again? I died a while back and left my warrior's corpse to rot. I left EQ shortly after that, and I came back on my warrior. He died after this zone was implemented. I came here, and the Keeper said that I was wasting his time. How long are corpses kept here before they're removed? Ex: You come in through The Ferrott -can you then leave, but go to Qeynos Hills? No, if u come in thur PoK u leave and go to PoK, if u came thur Ferrott u leave n go to ferrott. Would be kinda kewl if u could tho. Go to Devin in Pok and JUST say "Travel" you will be ported. What about my old account ?? 3 years ago i had another account. I created a SHM BAR. Today i play also a SHM BAR and the name is the same.. !!! ?? ..Any chance to get the items back what my former chara had ?? It is a very very weak possibility i know...But i think it is worth a travel. RE: What about my old account ?? I very much doubt it. Especially as they didn't have this zone or feature 3 years ago. HAHAHA ... got to love "photoshop"! Thx for the laughs! Do you get items back and everything? ((( The following was originally posted by "Rydd" in the Beastiary section. you hail the spectre he will talk to you and will tell you that it is not there but will summon it there are 2 steps follow the words in brackets and will summon your corpse. Going in game will tell you if you have corpse in shadow rest.